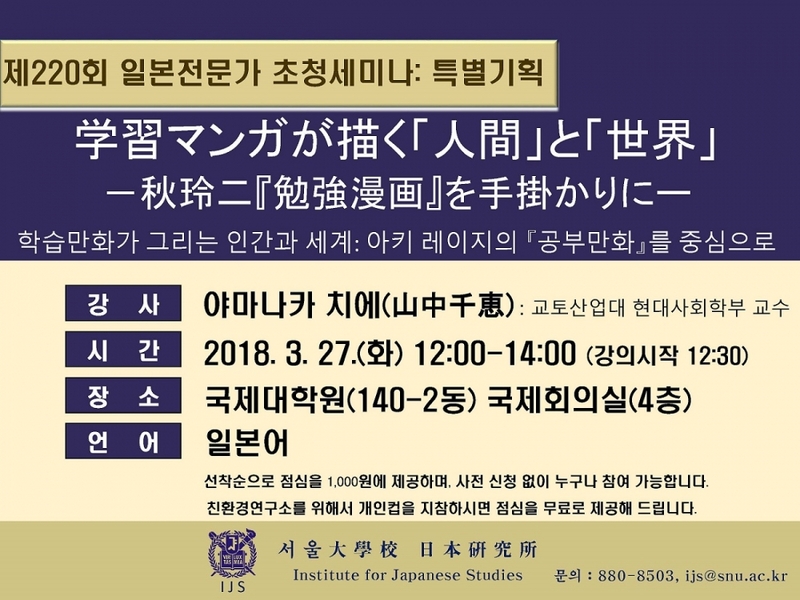 Institute for Japanese Studies at Seoul National University invites scholars from Korea, Japan, Europe, and the United States to discuss issues related to Japanese politics, economics, society, culture, and arts. The seminars are held in Japanese, Korean, and English. We are pleased to invite you to the seminar.